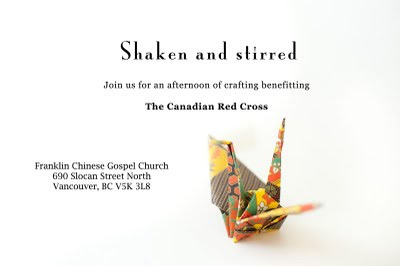 Join us for a fundraiser supporting the Canadian Red Cross benefitting the Japanese earthquake relief project. The earthquake may have happened almost 2 months ago but thousands are still living in shelters, and most likely they remain in them for the next 2 years. Come out on Saturday, May 7, 2011 from 1:00-4:00 for a fun afternoon of crafting, food, and laughs. 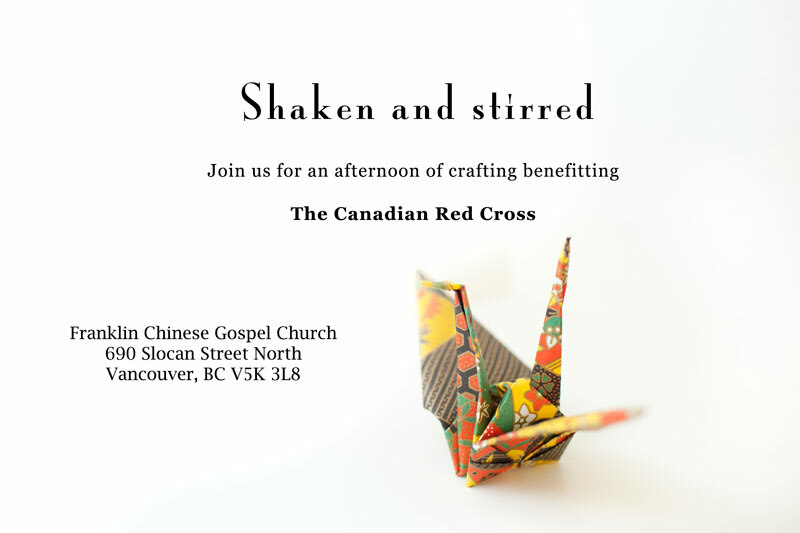 We will be making greeting cards, Japanese origami and Japanese calligraphy. Come learn the craft culture of this unique country! Vancouver, BC Pin It now!